Outlook based timesheets are popular today because they provide the simplicity, user-friendliness, and proficiency needed by any type of business or organization when it comes to their time tracking and reporting needs. This is accomplished by enhancing Outlook with a plugin like TimeSheet Reporter, which makes it possible to report time based on your Outlook calendar appointments. Accurate time tracking and reporting is one of the most crucial processes implemented by modern businesses. Time is money, especially these days. 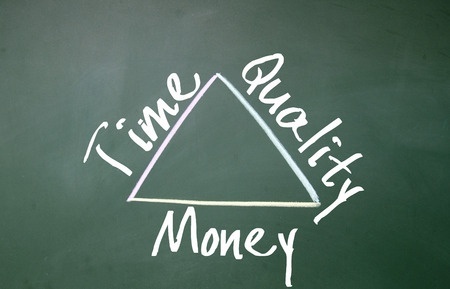 The more a company can handle its time well, the more profitable it can become. This is because excellent time management results in improved employee and operational efficiency, customer service capacity, brand awareness, and corporate reputation. All of these elements are in fact directly influential to the financial bottomline. And a growing income is what a company needs to perform well and to become sustainable. Outlook based timesheets give users an extremely easy time to generate their reports. Because timesheets are updated in real-time with ease, it only takes one click of a mouse button to produce a comprehensive report that is ready to submit in seconds. This allows employees to use most of their time on their main work tasks. Because timesheet reports are submitted on time, managers can readily interpret them and make immediate decisions regarding day-to-day operations. They don’t have to wait for days or weeks before a suitable solution is implemented. With standardized reports, managers can easily see which tasks are redundant in the whole business process. This allows him or her to effectively find ways on how to streamline operations. When employees are working productively and daily operations are running smoothly, service to customers become more excellent. Every interaction with clients is much more efficient, from the moment of customer signup, to ordering, and finally to receiving the products or services. This leaves customers happy and satisfied, which more likely will persuade them to make repeat purchases. Great customer service is one of the core values of a thriving and popular company. What happens when you consistently deliver great customer service? People become more aware about your product and your brand. When customers are always happy because they experience great service over and over again, they become your own brand ambassadors. Word-of-mouth marketing is maximized, which is essential. In the long run, you will be able to build a corporate reputation that is founded on trust, reliability, excellence, and overall greatness. This is the ultimate success for any business. When clients trust you and know that you are great, they will patronize whatever product or service you offer them. All of these improvements begin with using Outlook based timesheets. Learn more about it now and experience these lasting benefits for your business.